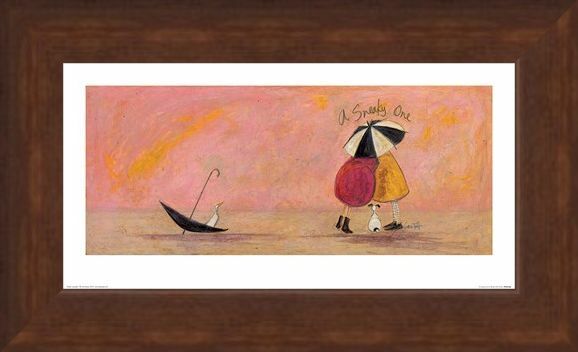 Mr Mustard and his beloved wife Violet are a shining example of eternal love and showcase their love for one another as they embrace for 'a sneaky one' behind the shade of an umbrella. 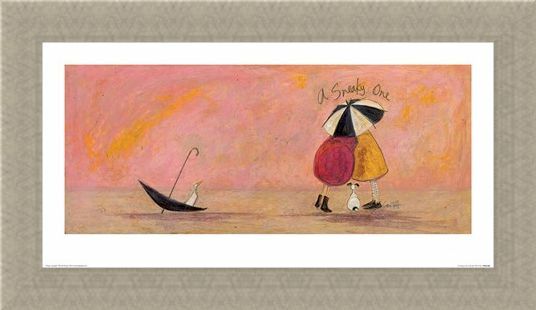 With their trusty companion Doris looking on, this happy couple are the perfect example of endless passion and desire for your partner. 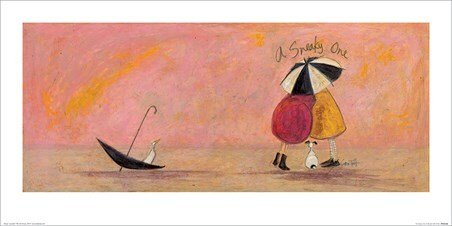 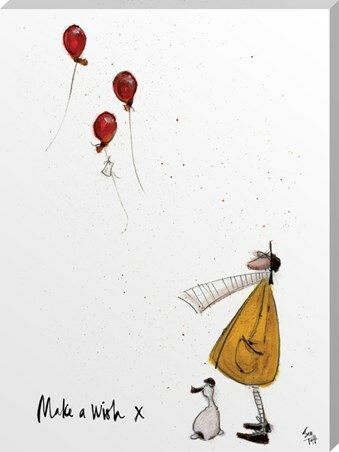 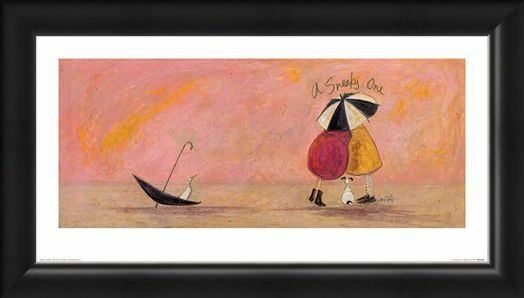 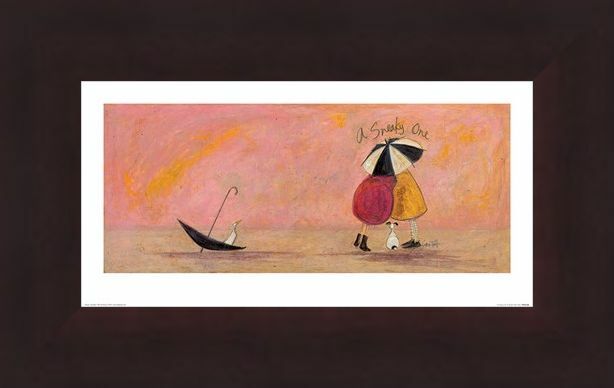 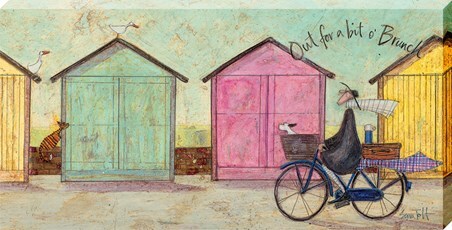 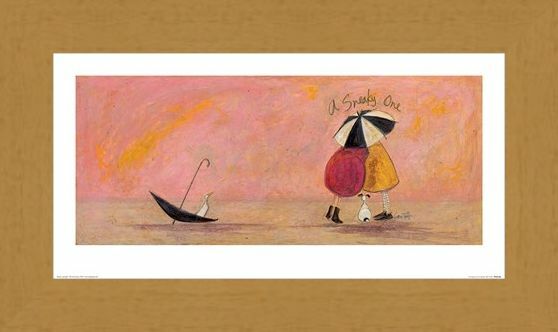 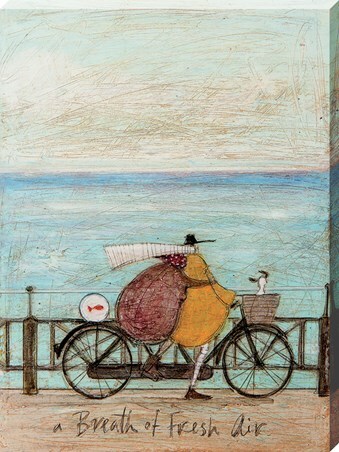 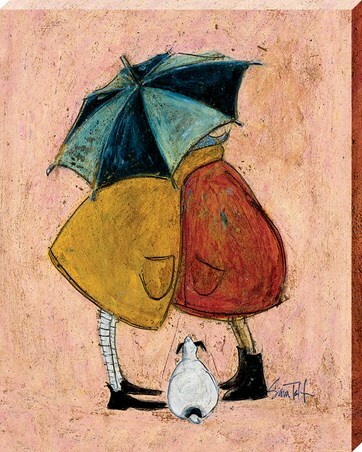 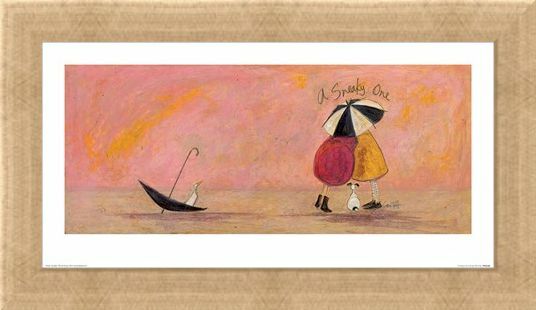 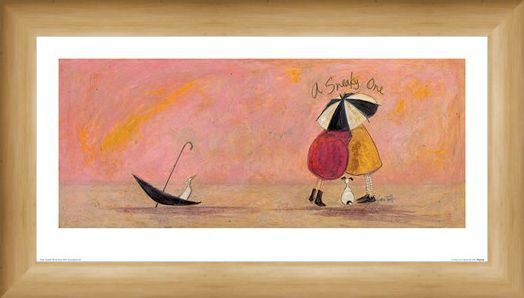 This incredible art from the amazingly talented Sam Toft is the ideal piece to hang in your home if you believe in forever love. High quality, framed A Sneaky One II, Sam Toft print with a bespoke frame by our custom framing service.